10 Inch FT. cord with ground. 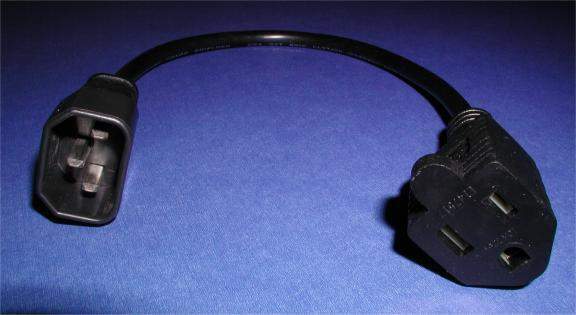 Used to adapate the switched power connector on the back of pc power supplies to a standard cord. So that device pluged into this cord switch on and off automatically with the computer.